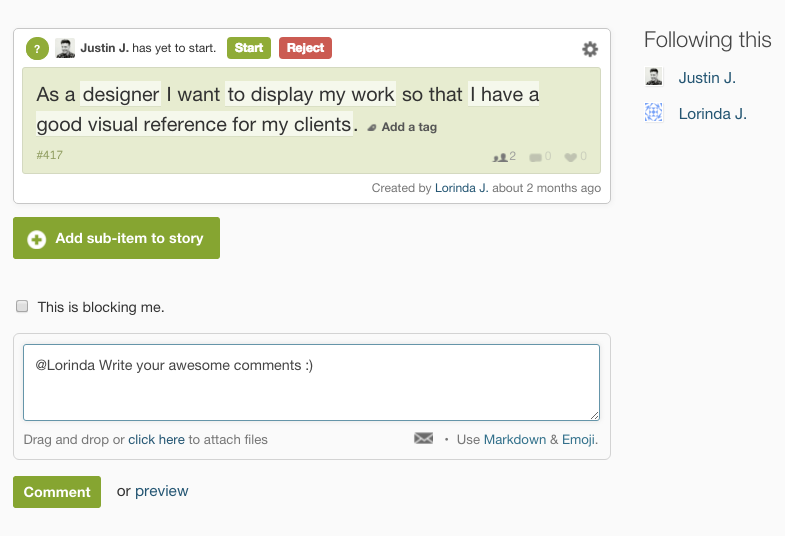 Sprint.ly has support for mentioning people in a comment. To mention someone in a comment just type @ followed by the first few characters of their name. Note: When you mention someone it alerts them via email and adds them to the item's list of followers.